You’re more than your than your condition. You’re you – a father, a sister, a Nana, a spouse, a dog Mom, a sports fan, a professional singer, a veteran businessman, a traveler, a devoted friend, a furious yet hopeful fighter. You play countless roles, and patient is just one of them. There’s power in your #MoreThan stories – see for yourself. 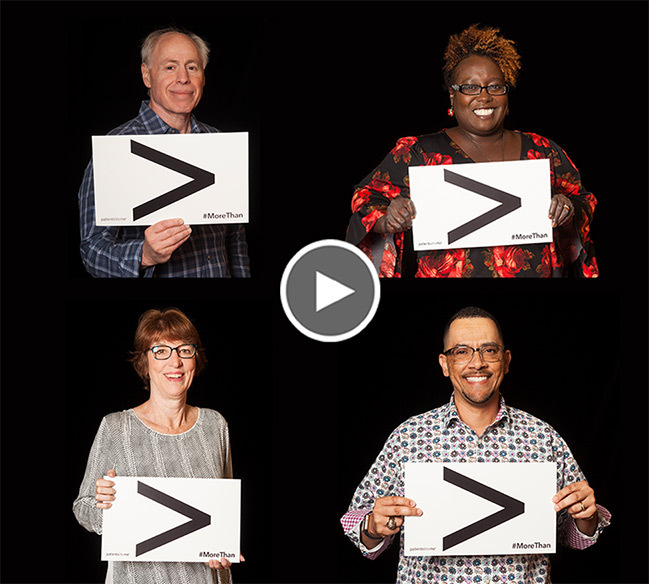 Eleven members of the PatientsLikeMe Team of Advisors have shared how they’re “#MoreThan” their conditions in a new ongoing video series. Watch this preview featuring just a few patients like you, and stay tuned for more stories coming soon. You > your condition. And together, we are the answer. Join us in the fight to learn more, and keep sharing your stories. Up for sharing your #MoreThan story on social media? Follow these 3 steps. 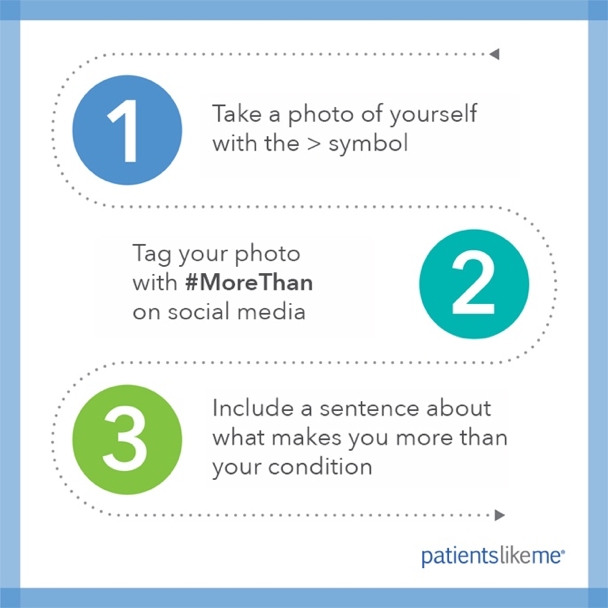 Remember to use the tags #MoreThan and @PatientsLikeMe.